One of the most common orthopedic conditions that patients seek treatment for is pain in the knee. Many different things can cause this and a physical therapist can help diagnose and treat knee pain. The good news is that home exercises can help reduce pain. You will want to do these at the recommendation of and under the guidance of your physical therapist. Here are three exercises to reduce knee pain. Begin this exercise on the floor on your hands and knees. Engage your abs. Beginning with your left leg, extend your knee out to the side, lifting it off the ground and rotating it from the hip. For correct form, keep your hips facing down. Hold for a few seconds and then slowly lower your leg to the starting position. Complete three sets of 10 reps on this side, then switch to the other side and repeat. Your physical therapist may recommend completing this exercise two or three days each week. To begin this exercise, lay on the floor on one side, with your knees slightly bent and stacked on top of one another. Use a pillow to support your head. You can place the arm of the side you are laying on under your head for comfort. Rest the palm of the other hand comfortably on the ground in front of your abdomen for support. Gently lift your top knee up toward the ceiling, keeping your ankles together. Hold for a few seconds and gently return the knee to the starting position. This completes one rep. Complete three sets of 10 reps on this side, then switch to the other side and repeat. Your physical therapist may recommend completing this exercise two or three days each week. To begin this position, lay flat on your back on the ground with your arms next to you on the ground. You may use a pillow to support your head. Bend your left knee and place your left foot flat on the ground next to your right knee. Keeping your right leg extended, gently and slowly lift it off the ground toward the ceiling. Keep your leg straight and your toes pointed up. Stop when it reaches the same height of the knee that is bent. Hold for a few seconds and then gently release back to the starting position. Complete three sets of 10 reps on this side, then switch to the other side and repeat. Your physical therapist may recommend completing this exercise two or three days each week. 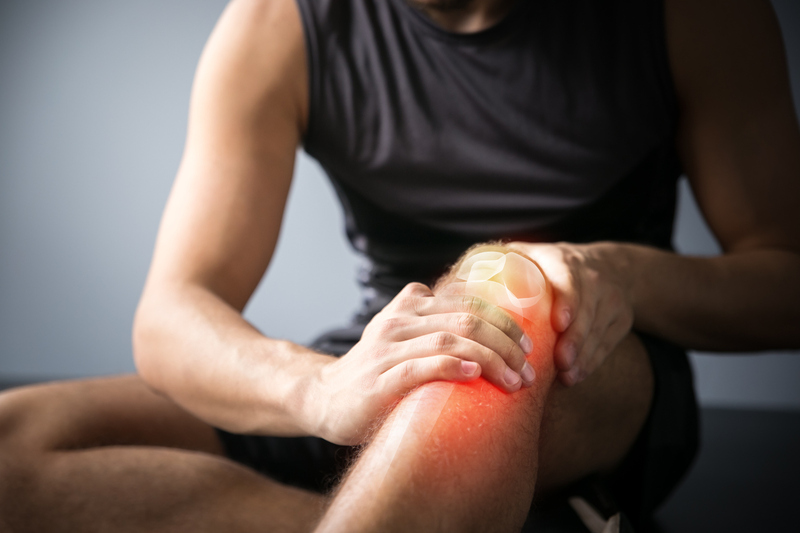 …if you have been experiencing knee pain, contact the team at Above and Beyond Physical Therapy to learn more about how physical therapy can help.